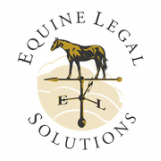 At Equine Legal Solutions, we receive a lot of calls from horse owners who are unhappy with a situation at their boarding stable and want to know what their "legal rights" are. The short answer is that boarders have only the legal rights given to them by their boarding contract (if they have one) and relevant case law. Note that the boarder not having received a copy of the contract or having lost their copy of the contract doesn't change the boarder's legal rights. What if the boarder doesn't have a written boarding contract? The answer is that at best, they have a verbal boarding contract (the terms of which will be very hard to prove). Aside from that, they can rely only on relevant case law to provide them with any legal recourse, such as if the boarding stable was negligent in caring for their horse (and the horse suffered injury or death as a result). On occasion, boarders have spoken to various friends and relatives and come up with the idea that their state's landlord/tenant law applies. That's just flat wrong. Unless the boarder lives on the property, landlord/tenant law won't apply to a horse boarding dispute. In the four states where we practice, California, New York, Oregon and Washington, there are no laws governing horse boarding, other than animal cruelty statutes and local zoning regulations governing use of the property. Generally, questions about horse boarders' legal rights fall into three categories: Terminating the boarding relationship, raising board prices and what the boarding stable is required to provide for boarders and their horses. A boarding stable's right to terminate the boarding contract is governed by what the contract says. If the boarding contract says nothing about termination or there is no contract at all, the boarding stable can give the boarder practically any form of termination notice. Unless the boarding contract specifies the boarding stable has to give the boarder advance notice prior to termination, the boarding stable can notify the boarder that it wants the boarder to leave immediately. Unless the boarding contract says termination notices must be in writing, the stable can give the boarder notice in any form it chooses, including verbally, as long as the boarder receives the notice. Whether there's another boarding stable that meets the boarder's personal standards of geographic location, price, care, etc. The boarding stable's reasons for terminating the contract. The boarding stable doesn't have to have a reason to terminate a boarding contract, and even if they do,they don't have to tell the boarder what it is. Often, boarders want to know if there's anything they can do if they don't like a board increase. Essentially, there are two choices: Pay or leave. And if the boarder chooses to leave, they must provide the boarding stable with the notice specified in the boarding contract (if any). If a boarder's horse is bigger than average, or eats more than average, the boarding stable isn't legally obligated to feed him more, as long as he's not starving to death (literally). So, if a boarder thinks their horse needs more feed than he's getting, and the boarding stable wants to charge the boarder extra, they can. If the boarding stable doesn't want to increase the horse's feed, the boarder might have to buy their own feed. And the boarder should be prepared to store and feed the extras themselves. Similarly, the boarding stable can feed whatever type of hay and/or feed it chooses, as long as it's not unsafe. And "unsafe" means moldy, contaminated, or of a type not suitable for horses, such as silage. Hay that's merely stemmy or poor quality isn't sufficient cause for a negligence lawsuit as long as the horses aren't starving to death (literally). The boarding stable can use whatever type of bedding it wants, bed stalls at any depth it wants, and clean stalls as frequently/infrequently as it wants, as long as stall conditions are not "Call Animal Control" unsanitary. If the boarder wants different bedding, more bedding, and/or more frequent stall cleaning, the boarder will probably have to pay for it. Even if the boarder's horse is allergic to the current bedding, is on stall rest, etc. The facilities the boarding stable provides have to be reasonably safe for normal use. Just because a horse got hurt doesn't mean the boarding stable was negligent. The boarding stable can provide as few or as many amenities as it chooses. And the existing amenities don't have to be operational. The wash rack plumbing doesn't have to work, the outdoor arena can be too muddy to use nine months out of the year, and the indoor arena lights can be sketchy. If the boarder feels like they're paying for amenities they can't use, they should negotiate with the boarding stable, and if that doesn't work, consider leaving. Bottom line, if a boarder isn't happy, and they can't work out a compromise with the boarding stable, they should either get comfortable with the situation the way it is, or prepare to move to another boarding stable.